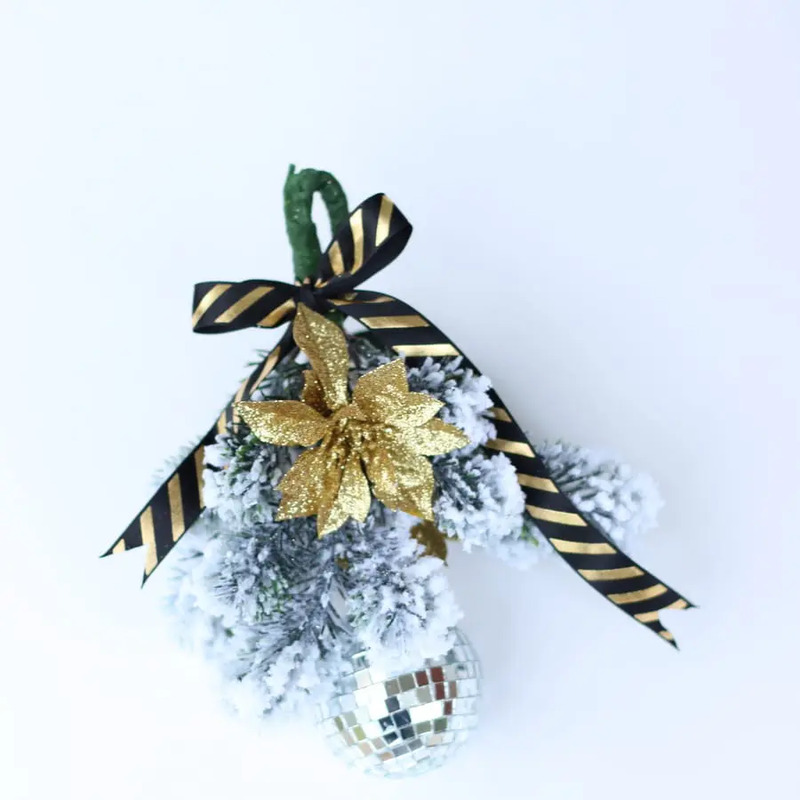 We are in the final days of Bake Craft Sew DECORATE series! 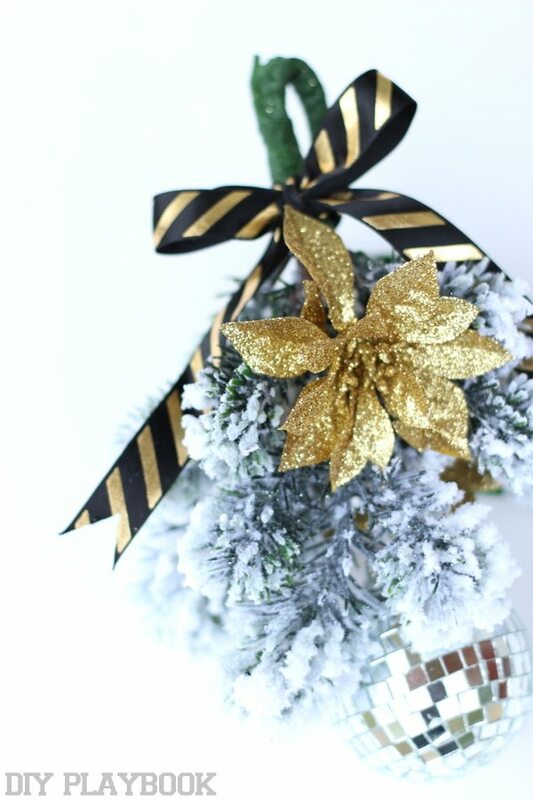 If you’re new or haven’t visited in a while, we will be having Christmas and Holiday decorating ideas around here for the whole month of November! We will be teaming up with our blogging friends Cindy, Mique, and Leigh Anne! One of our favorite parts of the holiday season is all of the traditions that we have come to love (and look forward to) year after year. 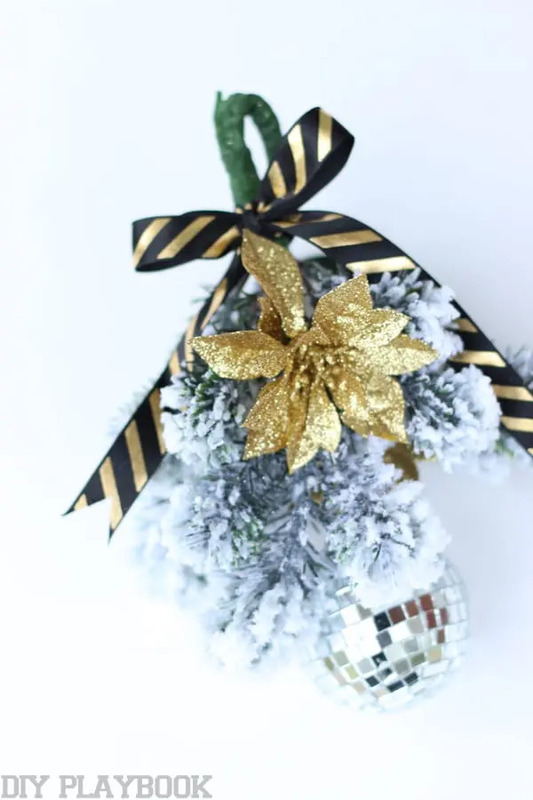 Although our list of favorite holiday traditions is far too long for one post, we thought we would add our own personality and style to a holiday must-have. 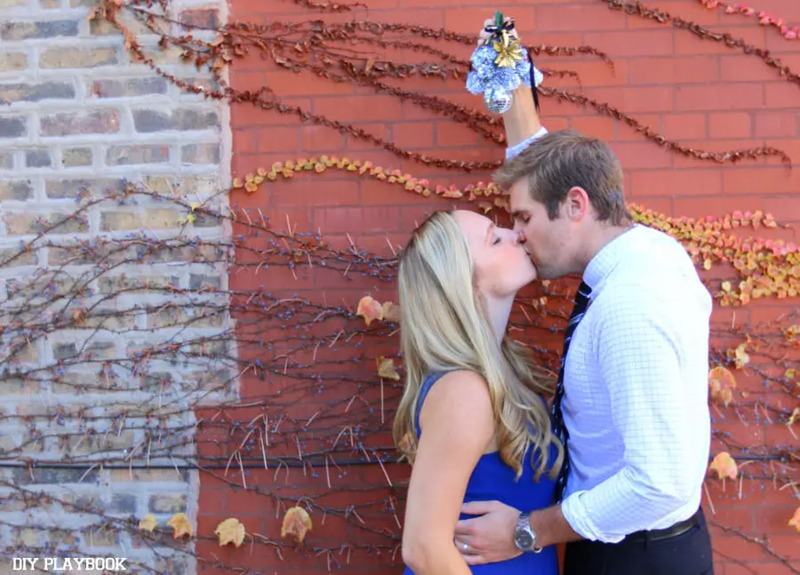 Because let’s be honest, who doesn’t love some good ol’ fashioned mistletoe? 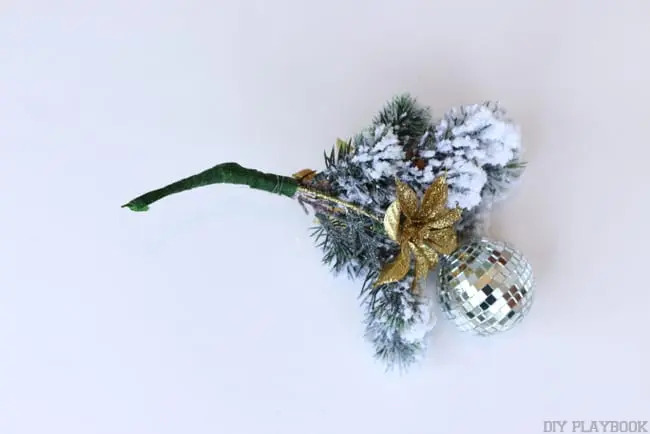 There’s just something about that “kissing ball” that reminds us of old-fashioned love, Christmas’ past, and what the holidays are really all about — showing the ones in our lives how much they mean to us. So in effort to help spread some of that mushy-gushy holiday cheer, we thought…. why not add our own style to this holiday must-have? Once you have your supplies, you’ll want to turn your flocks of pine upside down and group them in a way that you think looks good (we used 3). 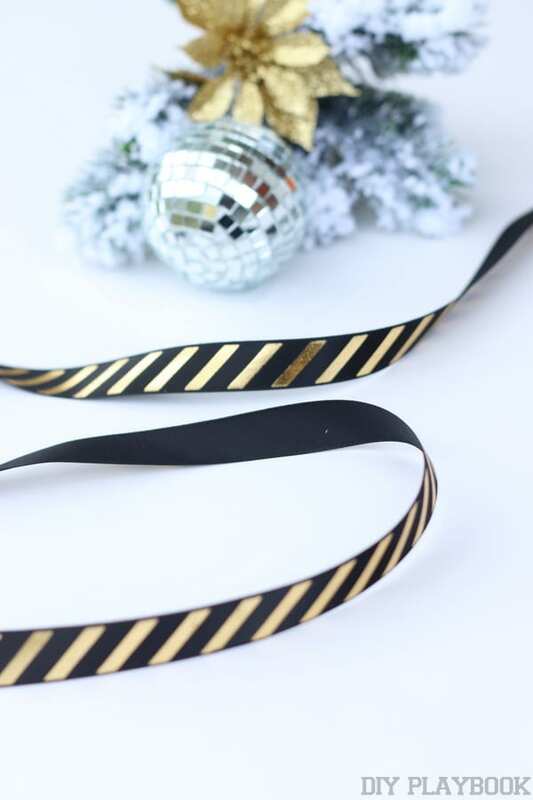 After the placement of these three pieces meets your approval, go ahead and wrap floral tape around the stems in order to secure them together (be generous on the floral tape!). 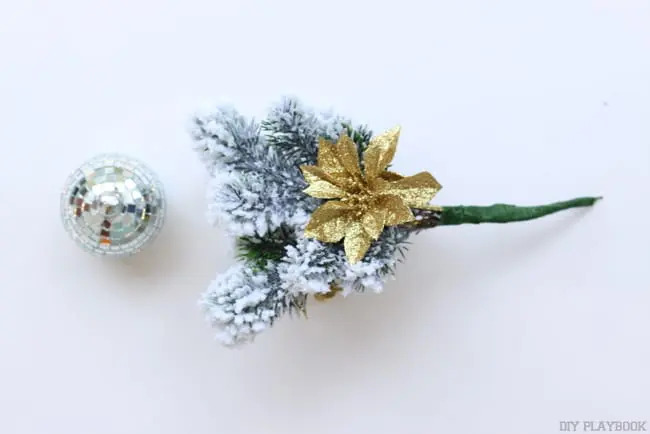 After that is done, follow those same steps to secure the glittery flowers (or holiday accents of your choice) on the outside of the existing grouping. 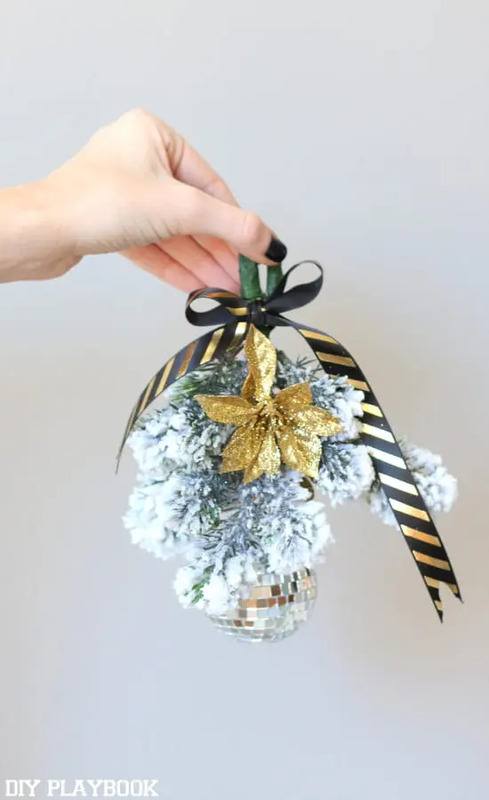 Next, you’ll want to attach clear fishing wire to the ornament and “fish” the wire up through the middle of the flocked branches. 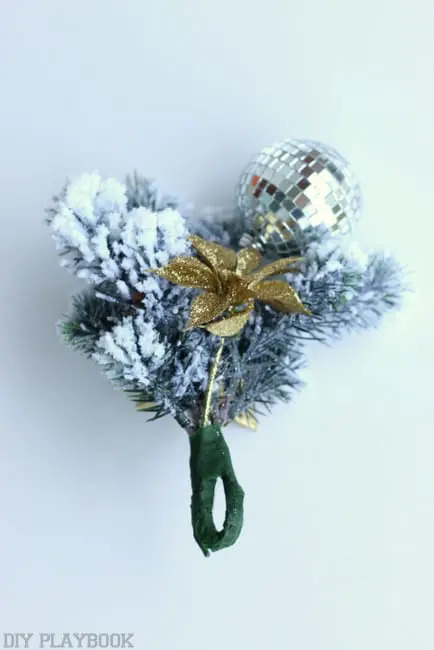 Once the fishing wire (and ornament) is hanging down at the length you desire, go ahead and tie it to the base of the branches… tying several knots at the base to make sure it’s very secure (especially since it will be hanging upside down). 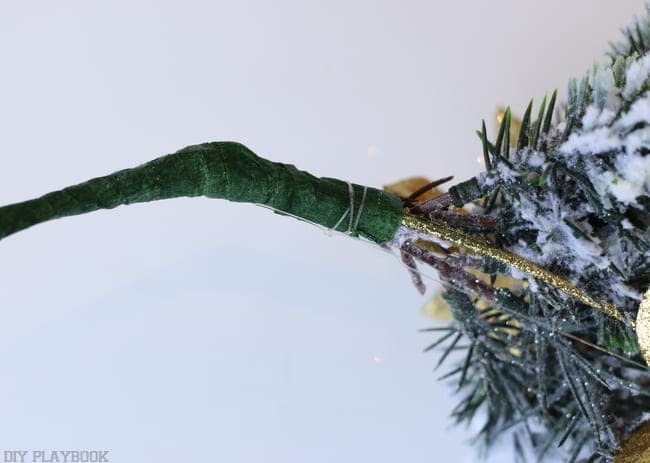 Then, take the long branch (that is wrapped in floral tape) and bend it in half so that the collection of stems wrapped in tape creates a “loop”. That loop will eventually be where you hang it/hold it from. 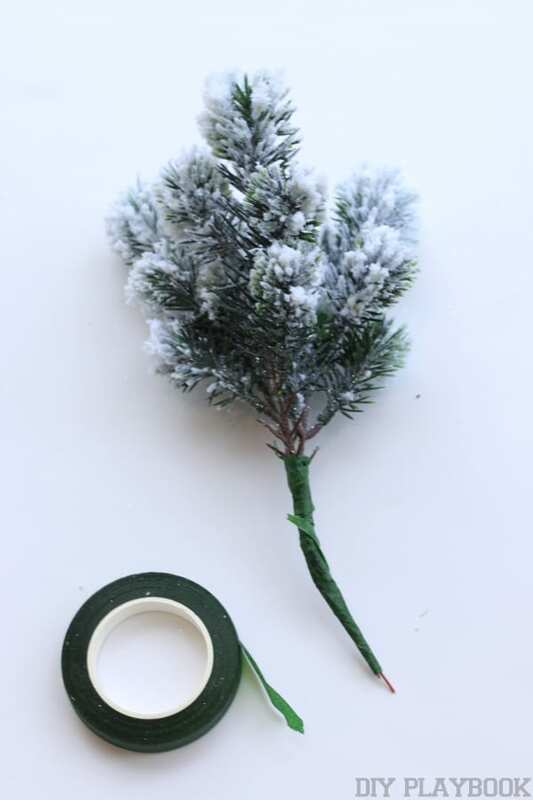 To secure the loop, wrap the base (or where the top of the branches is now bent over) with more floral tape. Once that is all secure, go ahead and add a pretty bow! 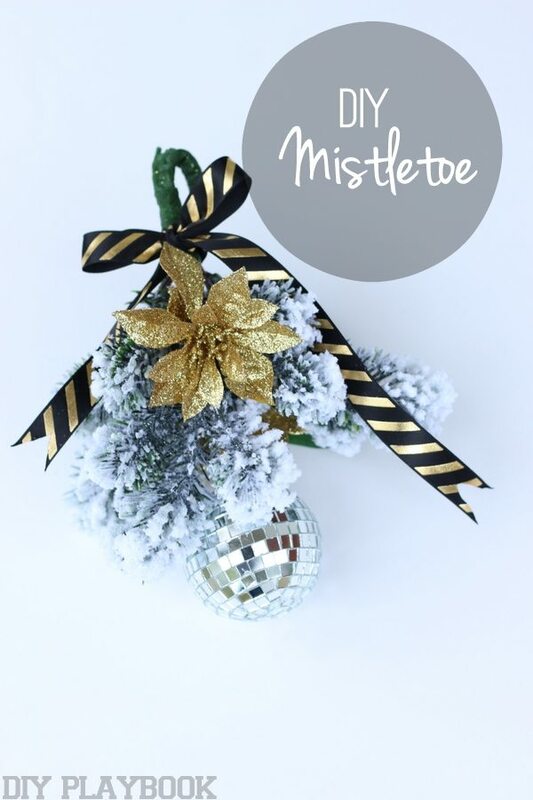 Just like that, you have a personalized mistletoe that is bound to be the hit of your next holiday party! Easy enough, right? 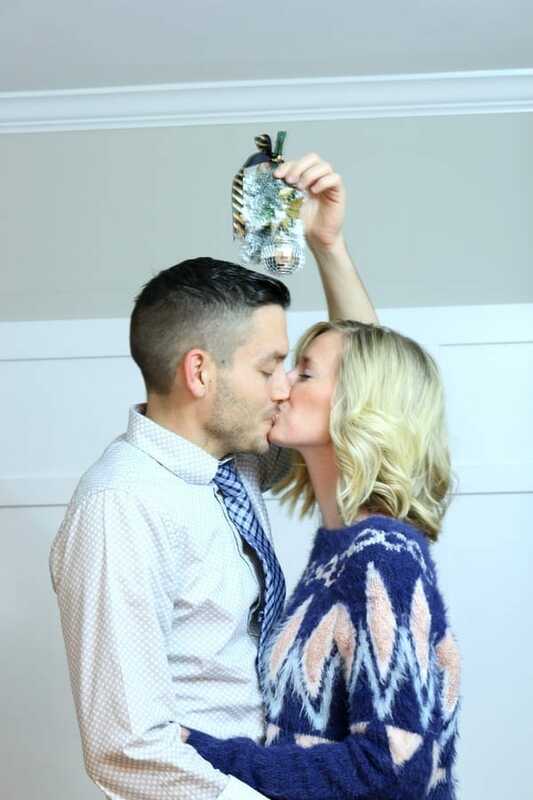 And since we’re speaking of mistletoe, we’re sending Savannah, Mallory and the Classy Clutter readers a big ol’ kiss!! Thanks so much for having us rookies, we wish you and your families a Merry Christmas and Happy New Year. 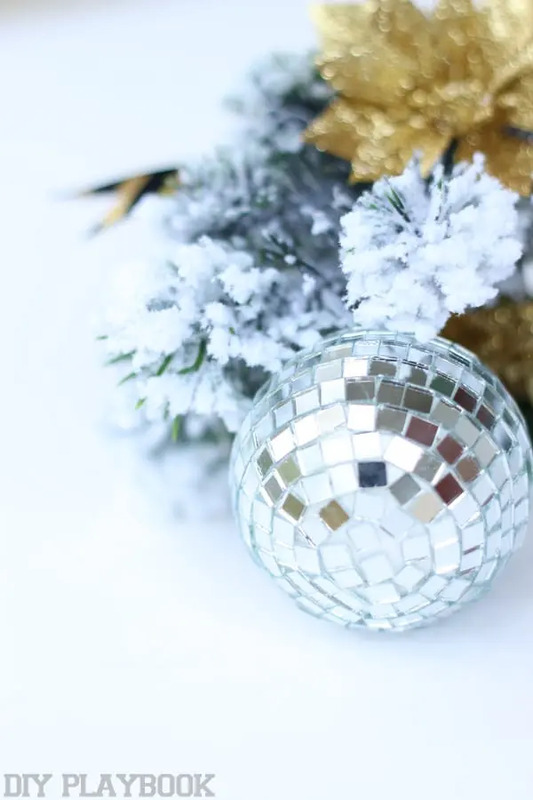 May your holiday be filled with everyone you love…. and lots of kisses. Thanks so much ladies!!! This is SO CUTE!!! 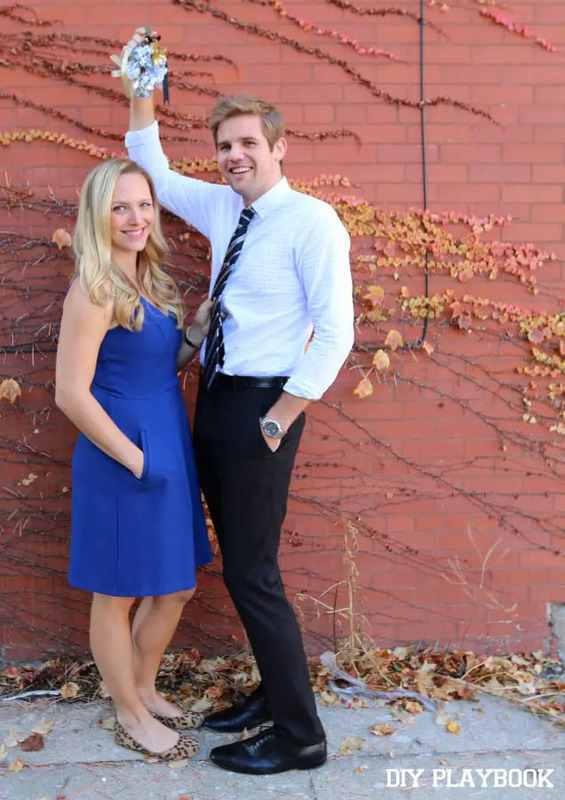 Be sure and check out Casey and Bridget on their blog, DIY Playbook and on Facebook, Instagram and Pinterest! Thanks for having us, ladies!! We are so honored to be included this month and loved seeing all of the great ideas you shared! Wishing you and your families a Happy Holiday season!